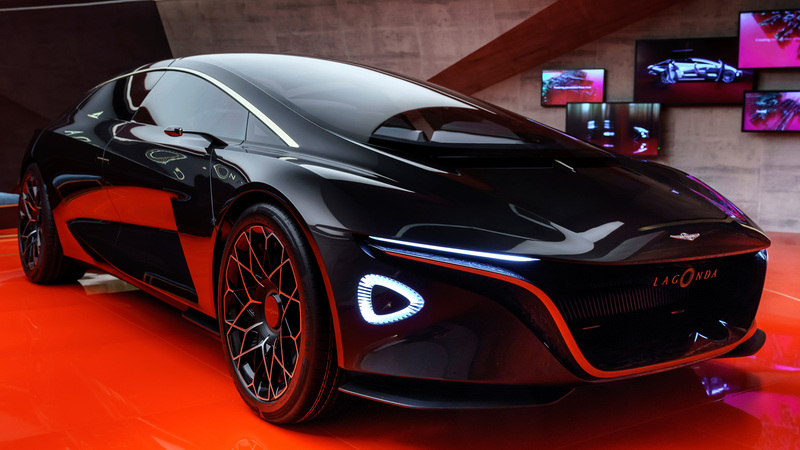 While the Aston Martin Red Bull Racing duo of the F1 car and the Valkyrie AMR Pro were the headliners, the British carmaker also had something for its luxury arm – the Lagonda Vision Concept. 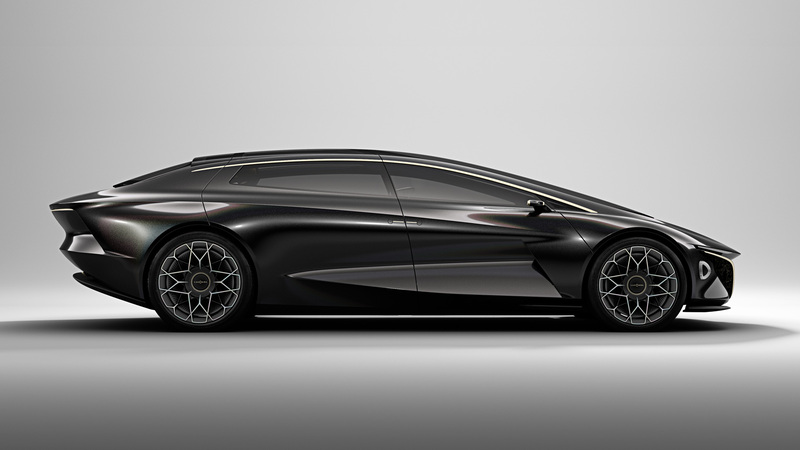 As is the theme these days, this is an all-electric concept which previews the design language for future production models from the Lagonda line, sometime around 2021. 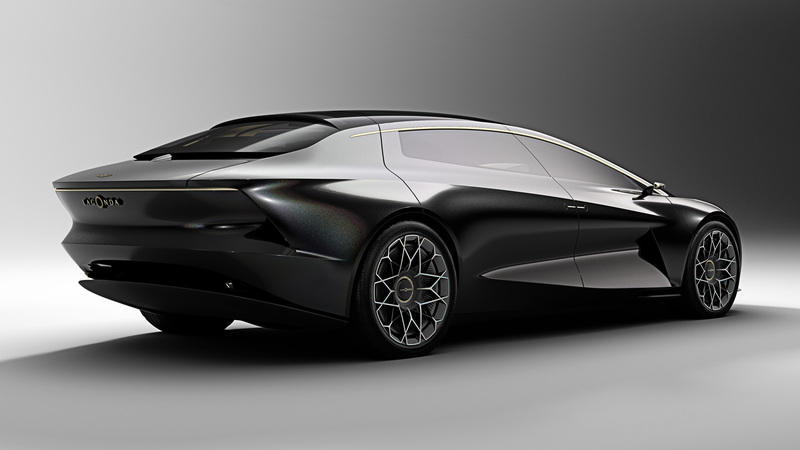 The luxury brand arm of Aston Martin intends to be the world’s first zero-emission luxury brand, which is an interesting niche achievement to aim for. 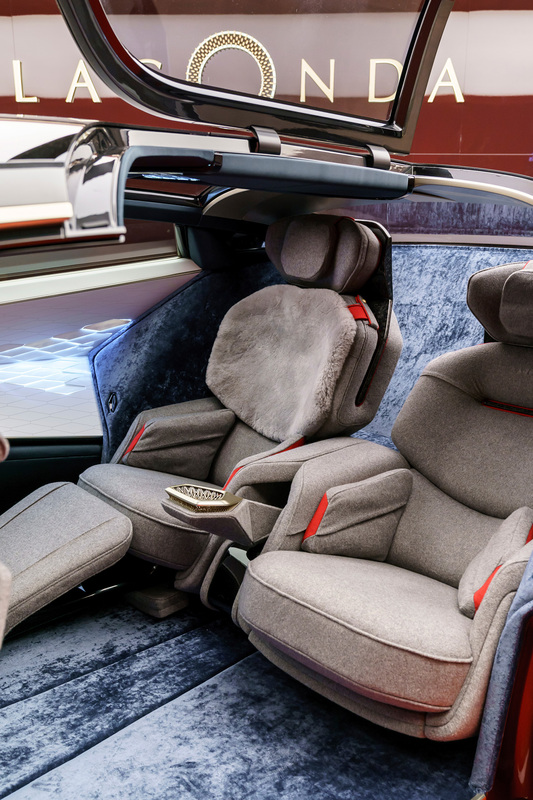 The Vision Concept is shorter and lower than its traditional counterparts, but manages impressive space efficiency through radical design and offers luxurious and comfortable seating for four large adults. 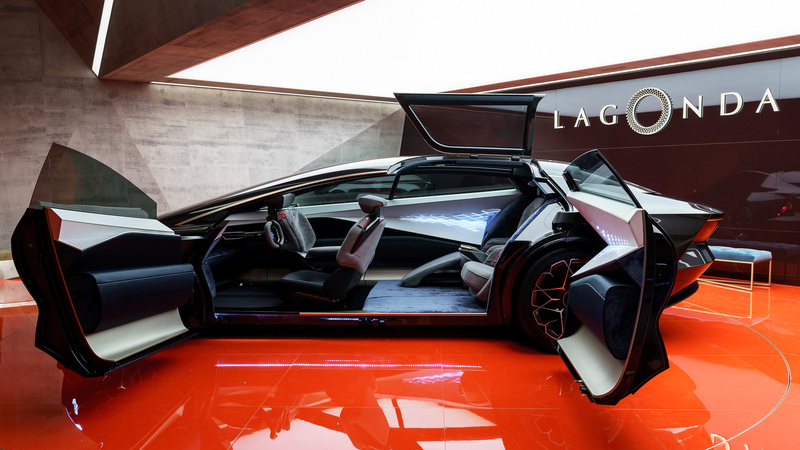 The brief from Aston Martin goes on and on about the various different luxurious elements inside the Lagonda Vision Concept, and the clever design by Reichman’s team is explained in much detail. 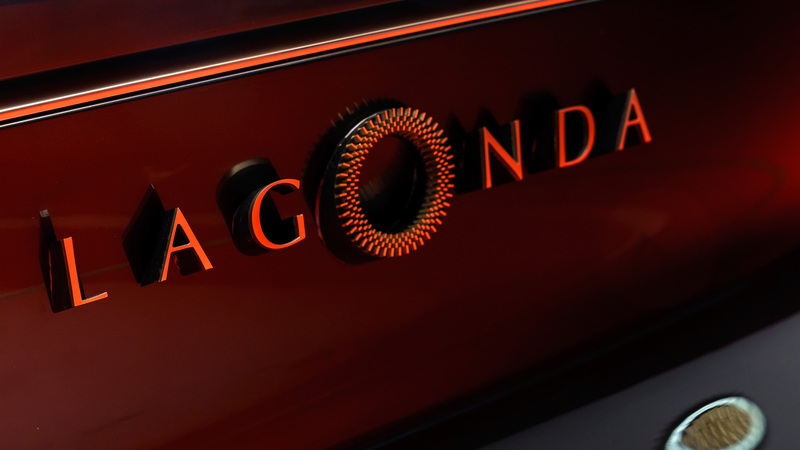 Yes, the Lagonda pre-dates Aston Martin, but together they can offer a unique proposition that many manufacturers of the world cannot – combining opulence and performance in the same package without compromise on either end. 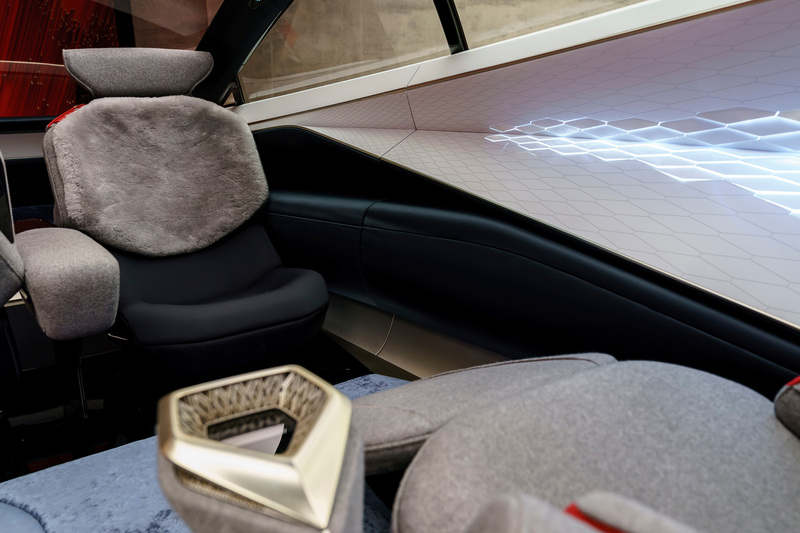 The new Lagonda will use solid state electric batteries fitted under the floor, good for 645km between conductive charges. 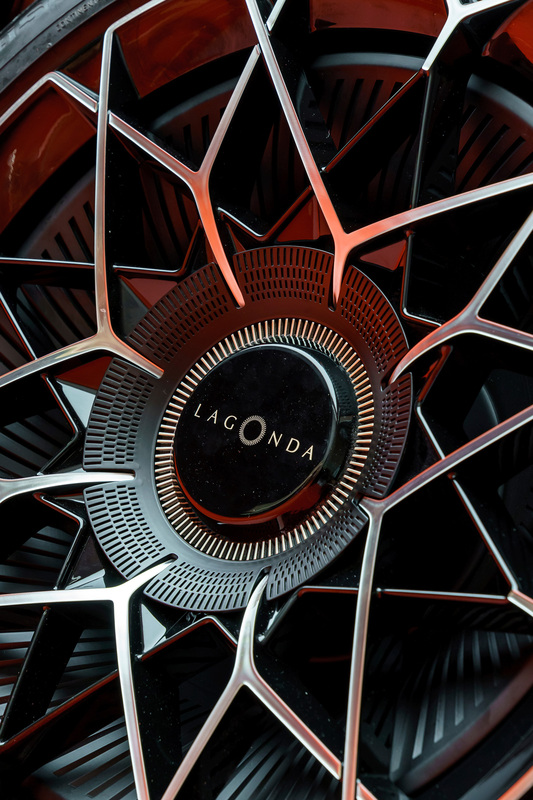 The new tech enables it to debunk traditional automotive form language, a truncated nose that segues into a vast glasshouse/roof and resolves into an abbreviated quasi-tail-fin. Remember, less drag means more miles to the charge, so aerodynamics are still key in shaping these electric cars. 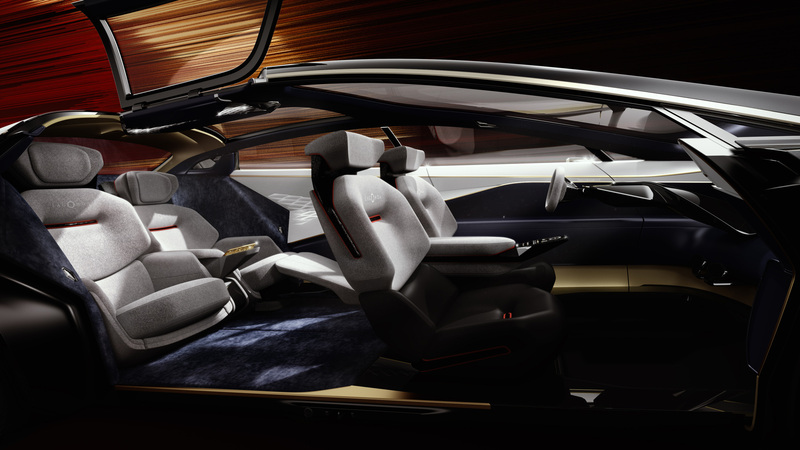 The Lagonda Vision Concept also anticipates a world with a high level of autonomy. 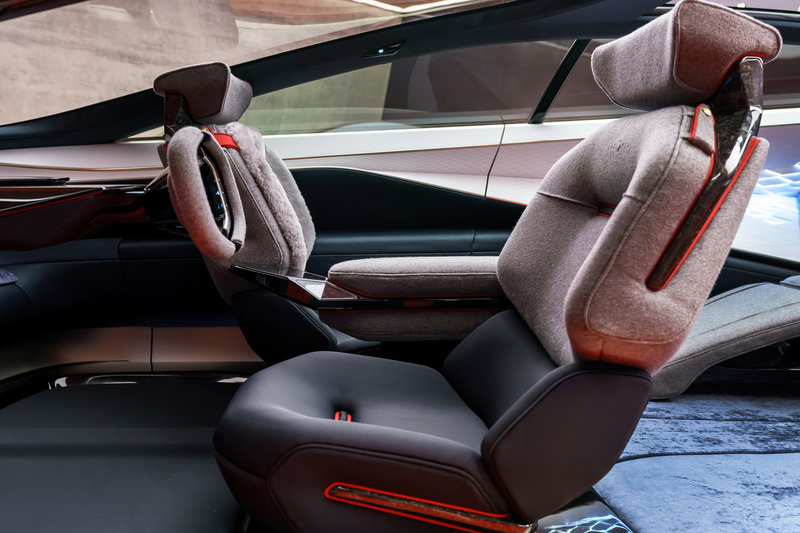 Its design is commensurate with level four autonomous driving, meaning the car is capable of driving itself in all routine circumstances and on all recognisable roads. 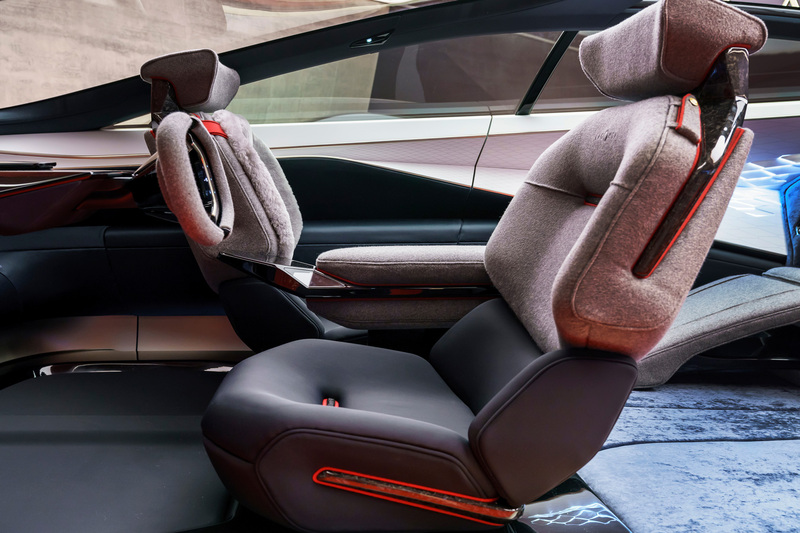 As a result, the steering wheel can not only move from left to right hand drive according to need, in autonomous mode it can also retract entirely allowing front seat passengers to rotate through 180 degrees to engage in face to face conversation with those in the back. 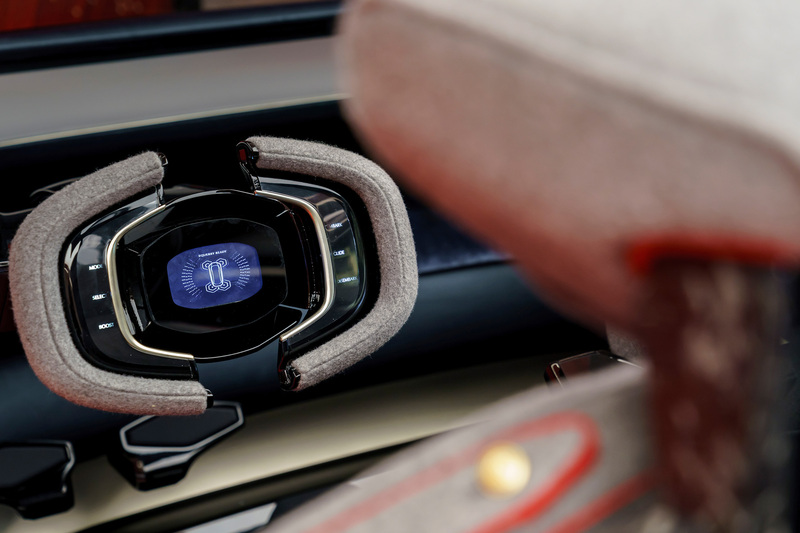 In the meantime, the car will not only have a 360-degree awareness of the world around it but also be fully connected to it, allowing occupants access to bespoke concierge services and a level of connectivity and cyber-security few enjoy in their own homes, let alone their cars. 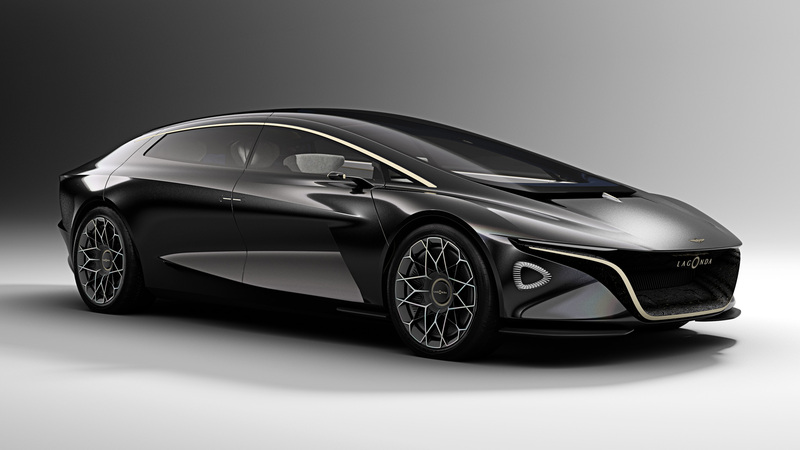 What do you think of the Lagonda Vision Concept? 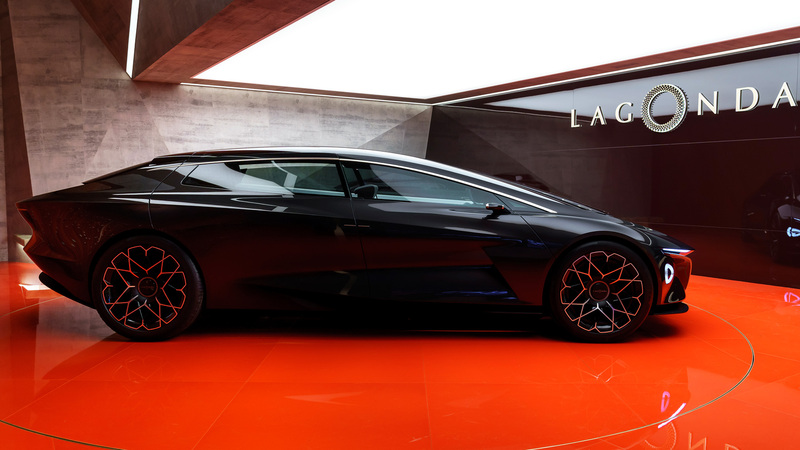 Do you think Aston Martin Lagonda will be able to pull off their dream of being ahead of all rivals in this bold new world of automotive experiences? Share your thoughts in the comments below the gallery and subscribe for the latest news on the coolest cars.